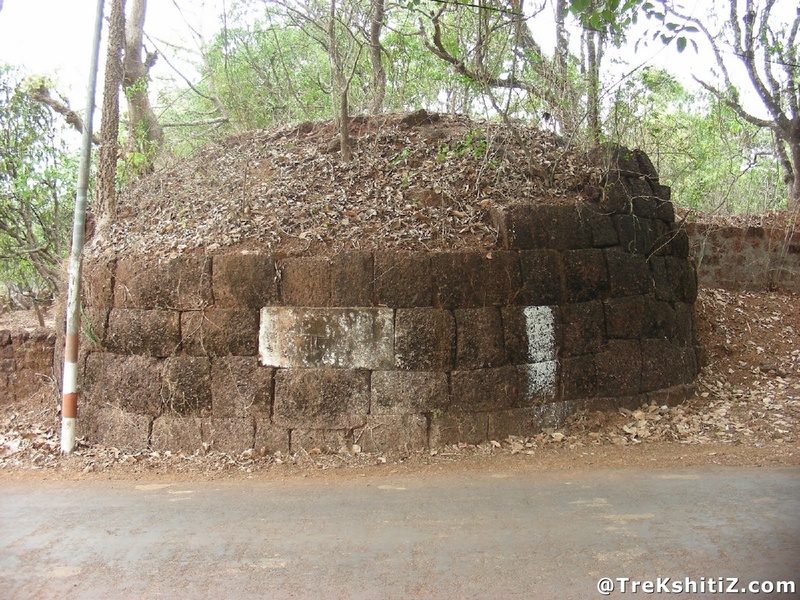 This land fort is located between the forts of Devgad and Sadanandgad. It stands in a dilapidated condition. Apart from this, Kanhoji Angre also gifted the villages of Saalshi, Aachra, Kamte and Kinjvade to the temple authority. There are 3 canons buried upside down outside the Bhagwati Devi temple. The scripture is kept in the hall of the temple with Kanhoji Angre�s name in it. The idol of Goddess Bhagwati holding a sword in her right hand is of black rock and two elephants are carved above it showering flowers. The main pillars of the temple are wooden and it is believed that one of it is made of Holy Basil wood. There two ancient idols in the temple premises named as Rameshwar and Pavnai. There is a Rameshwar temple behind which also has an ancient idol in it. There is also a two storey ancient mansion nearby. 1) 30 kms from Malvan on the Malvan-Devgad road is Naringre village from where a road to the right takes us to Kotkamate village which is 5 kms. 2) One can also reach Kotkamate village by following the route of Devgad-Jamsande-Talebazar-Titha (Approx distance 20 kms).